Even if you aren’t someone who keeps up on the latest developments in commercial security and computer algorithms, chances are you’ve at least scrolled past a few articles about recent advances in facial recognition technology. As computing power continues to grow, governments, cities, businesses, and home owners can utilize facial recognition technology to keep their premises safer, increase efficiency, and improve experiences for customers and employees alike. At its most basic level, facial recognition uses the cameras that are already integrated into your commercial security system and gives your system the ability to recognize individual faces by matching them against a pre-existing database. It’s more than a security feature; you can easily create a database of individuals who are banned from access as well as a database of individuals who should receive special VIP treatment when they arrive. It’s easy to think of facial recognition technology as a new addition to your commercial security system, but in many ways, it is actually an upgrade to all of your security measures. The most obvious link between facial recognition and security may be the security cameras you already use, which can now be upgraded to do more than just record goings-on. It’s one thing to have monitored security cameras with NVR (network video recorder) playback, but adding facial recognition takes your surveillance to a new level, allowing your security system to immediately identify and keep track of individuals when they appear on camera. For example, say that you recently had to fire an employee who harbored some resentment toward your company. Facial recognition technology could alert your team the moment that employee set foot on the premises. And that’s just the beginning of what facial recognition can bring to your commercial security system and to your business as a whole. Facial recognition technology provides a huge boost to commercial security, but it can benefit your business in many other ways. Facial recognition technology can provide a huge wealth of data to help businesses plan strategy, analyze customer behavior, and much more. Facial recognition is about more than just spotting the people who are already in your database, after all. It can generate demographic data—including age, gender, and more—that tells you who your customers are. It also can track individual customers to give you an idea of customer behavior. How much time does a customer typically spend in your store? Are customers routinely missing the sale endcap that you just put up? Facial recognition technology can help you answer these questions and many others. The implications for everything from sports and cultural venues to parking areas, transportation hubs, and retail environments are staggering. Forget turnstiles or other outmoded methods of counting individual engagements. Facial recognition technology can help provide accurate metrics of how many people pass through any given area of your business, how much time they spend there, where they go, and what they do. This allows you to predict customer behavior and adjust your plans accordingly. You’ll be able to create more accurate, detailed, and useful projections that will benefit everything from sales and merchandising to property management, site improvements, and much more. Facial recognition technology has come a long way, especially in the last few years. 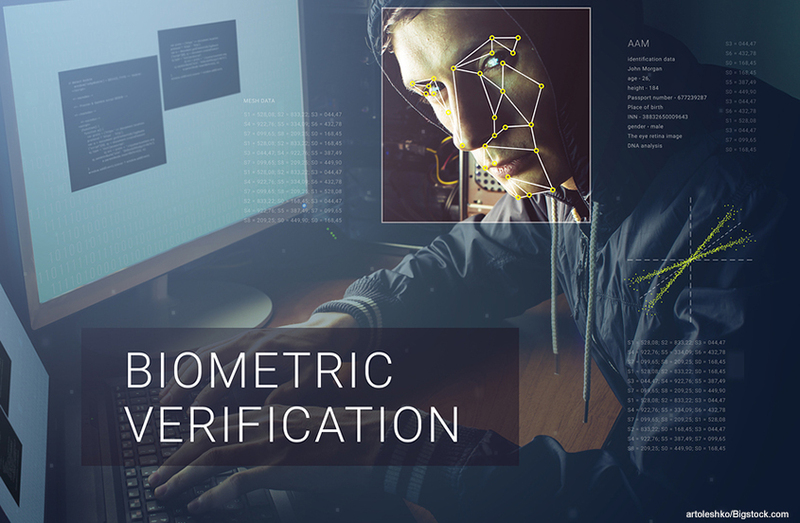 Instances of “false identification” have dropped dramatically as facial recognition systems have begun to incorporate deep learning algorithms, more advanced security cameras, and other commercial security tech to build systems that are more accurate than ever before. What some business owners don’t understand about facial recognition technology is that it isn’t a new addition to your existing commercial security system. It’s an upgrade. In most cases, facial recognition tools can be integrated into your existing security systems or added on to new systems before they’re installed. Facial recognition software can be incorporated into your existing computer systems and will help to improve the performance of your security cameras and monitoring processes. There’s no need to buy an all new security system when you can simply upgrade your current one with cutting-edge facial recognition technology. Incorporating facial recognition technology into your new or existing commercial security system can help improve your company’s efficiency in any number of unexpected ways. For example, you’ll be able to reduce labor costs. Tasks that previously required in-person analysis can now be handled in real time by facial recognition technology. It can automatically provide alarm warnings, automated number-plate recognition, people counting, consumer tracking, and much more, while generating valuable metrics that can be used to further improve everything from staffing to business management. Whether you’re using facial recognition tech to increase security, boost efficiency, or improve experiences for your customers or your workforce, Hikvision facial recognition products offer everything that you need to put facial recognition to work for you, including deep learning solutions that leverage huge amounts of data to produce accurate, reliable results. Already got a commercial security system? Hikvision products can be integrated into your existing setup. Looking to install something totally new? Hikvision offers face detection cameras, network video recorders, and robust video management software. If you’re interested in learning more about Hikvision facial recognition products or in finding out what facial recognition technology can do for your business, contact A-TEC Security today. A-TEC Security in Kansas City has been providing the best in commercial security and efficiency solutions for more than 20 years, and we’ll be happy to help you.